The relentless destruction of Sumatra’s rainforests has pushed the Sumatran orangutan to the edge of extinction. With only around 14,600 remaining in the wild, the species is classified as Critically Endangered. The Sumatran orangutan relies on forests, but the forests of Sumatra are under immense and mounting threat. They are being torn down for farmlands, logging, mining and roads. International demand for products such as palm oil and timber, combined with weak forest governance and short-sighted land-use policies are driving deforestation at an alarming rate. Orangutan populations are left fragmented and isolated as roads and plantations divide up the forest. This makes them easy targets for poaching for the illegal pet trade, and causes conflict with local communities when the stranded and starving apes are forced to resort to raiding crops. As well as being the greatest threat facing orangutans, deforestation harms people’s lives and livelihoods in Sumatra and around the world. 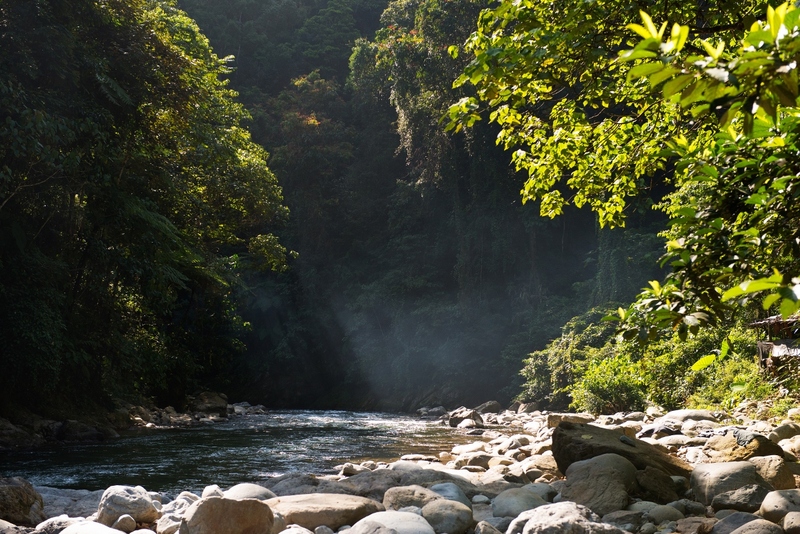 For more than 4 million people in Sumatra’s Aceh province, the rainforest is a vital life support system, providing clean water and a whole host of other benefits. The destruction of the ecosystem exposes them to environmental disasters such as flooding and landslides. Orangutan habitat is also a very important area for the global fight to limit climate change, due to the substantial amount of carbon stored within Sumatra’s forests and peat swamps. We must act now to ensure that Sumatran orangutans don’t disappear forever. 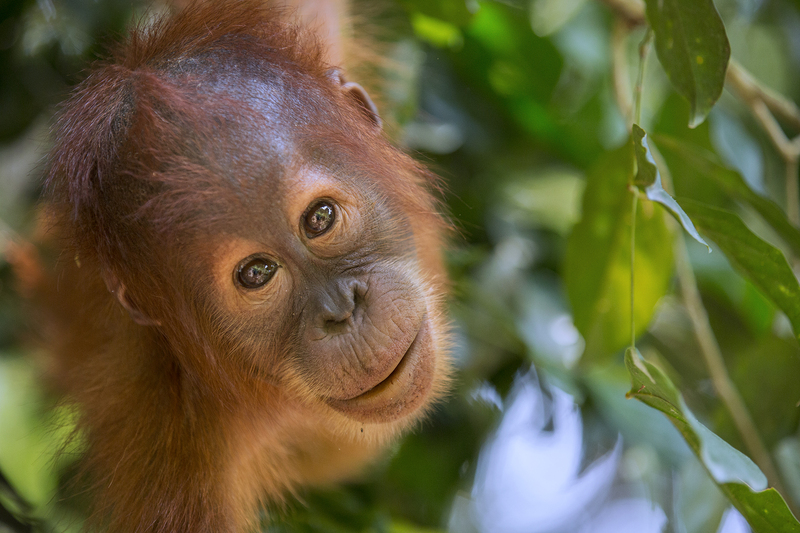 Orangutans were once found in forests across Sumatra but now only survive in two provinces: North Sumatra and Aceh. The Leuser Ecosystem is the last stronghold for the species, and the last place on Earth where elephants, rhinos, orangutans and tigers still co-exist in the wild. All four iconic species are now classified as Critically Endangered. 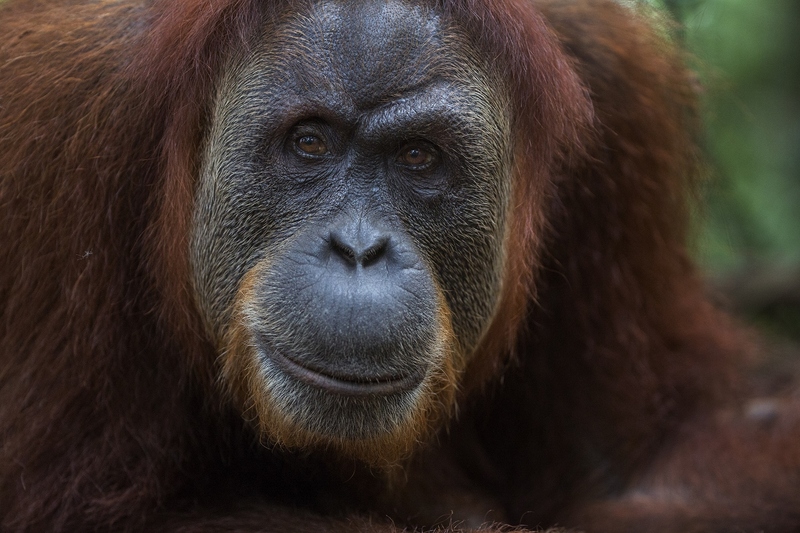 The survival of orangutans is now at a serious tipping point. The local government of Aceh province is pushing through a plan which will open up much of this highly sensitive ecosystem for yet more plantations, logging, mining, energy developments and road construction. This plan ignores the nationally protected status of the Leuser Ecosystem, the acute risk of extinction for its biodiversity and the welfare of the human communities surrounding and depending on it. With your support, we are backing the local people of Sumatra in their fight against the destruction of the Leuser Ecosystem, a battle that can and must be won. Vast areas of rainforest are being replaced with rows and rows of a single type of tree – the oil palm. Palm oil is found in a huge range of products, from toothpaste to chocolate bars. Wildlife cannot survive in oil palm plantations, and on Sumatra there is now more than 4 times as much land cultivated with oil palms as there is orangutan habitat remaining. In some areas, including inside national parks, farmers have cut into the forest to grow crops. As their habitat shrinks, orangutans are forced into farmlands in search of enough food to survive. They can become stranded, unable to return to safe forests, and are at risk of poaching for the illegal pet trade and conflict with humans if they eat or damage their crops. Although illegal, fire is sometimes used to clear land to grow crops, as this is cheaper than hiring bulldozers. The fires can quickly spread out of control, damaging forests and threatening wildlife, people and the climate. Orangutans are protected by legislation dating from 1931 which prohibits the owning, killing, or capture of the species. However, the illegal trade in orangutans continues to annihilate remaining wild populations, often linked to logging and clear cutting for plantations. Capturing an infant orangutan almost always means killing its mother. In fact, it is estimated that six to eight orangutans die for every orangutan orphan sold. Orangutans are listed on Appendix I of the Convention on International Trade in Endangered Species (CITES), which means that unlicensed trade is forbidden under international law. However, there is a huge local, national, and international demand for infant orangutans to be kept as pets. It appears particularly common for senior Indonesian officials to keep an orangutan as something of a status symbol. This highlights the challenges of working on the ground in Sumatra to tackle these problems.